When you are looking for a rugged and off-road-ready SUV, the clear choice is the Jeep Wrangler. 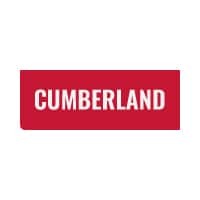 To test drive and explore a new Wrangler near Crossville and Sparta, TN, visit Cumberland Chrysler. Shop for a new Jeep Wrangler in Cookeville, TN now, or continue reading to learn why this capable Jeep is the SUV to beat when it comes to off-road capability and style! The latest Jeep Wrangler SUV is offered in a vast array of trim levels and special edition models, from the value-packed Sport to the stylish Sahara and rugged Rubicon. Whether you want your Jeep fitted with a hard top or soft top, full doors or half doors, there is surely a new Wrangler that is for you. Thanks to the Wrangler’s decades of off-road prowess, even the Wrangler Sport base model is designated as Trail Rated and ready to tackle the unknown. While Jeep has refined the cabin of the Wrangler, there are still plenty of highly practical features that make this SUV rugged, like its wash-out interior with floor drain plugs, lockable storage compartments and, of course, the open-air freedom that makes the Wrangler a Wrangler. Modern features in this classically styled Jeep include a Uconnect voice command system, large center display, steering wheel-mounted audio controls and Bluetooth connectivity. With its Trail Rated performance and potent Pentastar V6 engine, the new Jeep Wrangler is one of the most capable SUVs ever made. Its 3.6-liter Pentastar engine is paired with one of multiple 4WD systems, including Jeep’s Command-Trac or Rock-Trac 4×4 Systems. Step up to the Wrangler Rubicon model and you will find even greater off-road capability, thanks to heavy-duty and traction-inspiring features like a Dana 44 Heavy-Duty Axle, Tru-lok Locking Differentials and a Sway Bar Disconnect System. Ready to get into a go-anywhere Jeep? Then test drive the new Wrangler at Cumberland Chrysler, near Sparta and Crossville. As a Jeep dealer, we offer more than just new Jeep sales, including auto financing and leasing, a dedicated service facility and access to genuine Jeep parts and accessories. Let Cumberland Chrysler be your top source for all things Jeep near Sparta!